'Torture Report': Did Harsh Interrogations Help Find Osama Bin Laden? : The Two-Way The Senate Intelligence Committee found that the detainee who provided key information did so before he was submitted to enhanced interrogation. The CIA questions that account. 'Torture Report': Did Harsh Interrogations Help Find Osama Bin Laden? 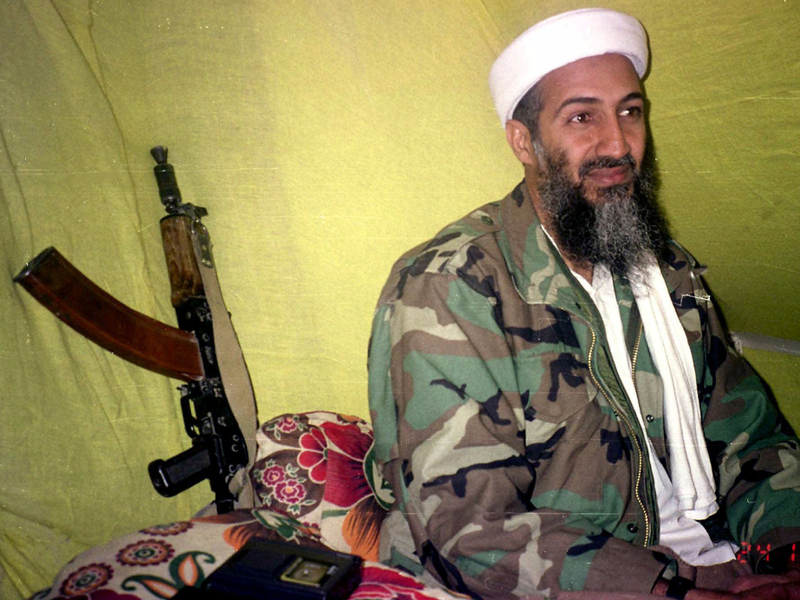 The CIA has long maintained that its advanced interrogation techniques led to the killing of Osama bin Laden. One of the big arguments the Central Intelligence Agency has used to defend its enhanced interrogation techniques is that information stemming from those interrogations led to the killing of Osama bin Laden. More specifically, officials have argued that those types of questionings led to important information about Abu Ahmad al-Kuwaiti, the courier that led the U.S. to bin Laden's compound in Pakistan. After an exhaustive three-year investigation, the Senate Intelligence Committee came to the conclusion that those claims are overblown or downright lies. Essentially, the committee concluded, Ghul provided all the critical information before he was interrogated harshly. After those interrogations, Ghul said nothing. The CIA has struck back at these claims. In an op-ed on the Wall Street Journal, three former CIA directors — George J. Tenet, Porter J. Goss and Michael V. Hayden — write that the Senate committee is "wrong." "There is no doubt that information provided by the totality of detainees in CIA custody, those who were subjected to interrogation and those who were not, was essential to bringing bin Laden to justice. The CIA never would have focused on the individual who turned out to be bin Laden's personal courier without the detention and interrogation program. "Specifically, information developed in the interrogation program piqued the CIA's interest in the courier, placing him at the top of the list of leads to bin Laden. A detainee subjected to interrogation provided the most specific information on the courier. Additionally, KSM and Abu Faraj al-Libi—both subjected to interrogation—lied about the courier at a time when both were providing honest answers to a large number of other critical questions. Since other detainees had already linked the courier to KSM and Abu Faraj, their dissembling about him had great significance." The Senate committee, however, provides concrete information about the number of detainees who provided information about bin Laden's courier. The committee takes issue with a CIA chart that said that all 12 detainees who provided information about bin Laden's courier were under CIA custody. The committee says that according to CIA records, five of the 12 provided that info before they were handed over to the CIA. The chart also says that of the 12, nine were subjected to harsh interrogation techniques. The committee says that according to CIA records five of the nine provided information prior to the enhanced interrogation. "Of the remaining four detainees who did not provide information on Abu Ahmad al-Kuwaiti until after being subjected to the CIA's enhanced interrogation techniques, three were not substantially questioned on any topic prior to the CIA's enhanced interrogation techniques," the committee writes. "All three provided information the CIA assessed to be fabricated and intentionally misleading."